We are focusing the Honors curriculum on college-level writing skills. This means we'll be working on taking your writing and reasoning to the next level with extended assignments ,more difficult topics, more advanced assessment criteria, and feedback focused on college-level writing. In the first semester, you will have additional (and often more difficult) texts to read, and your essays will have extended requirements and be graded on a higher standard. While you will be writing on the same topics as the rest of the class, you will have additional requirements for these writing assignments. In the second semester, you will be focusing all of your attention on the senior project and will be held to higher expectations at all steps of the process. Honors Writing Rubric: I will be using this rubric to grade your Honors Essays in the fall semester. Writing Support Groups: You should use these groups for idea generation, writing critiques, and proofreading. I will make my classroom available at lunch and during 7th period during weeks when you are writing essays for your groups to meet. 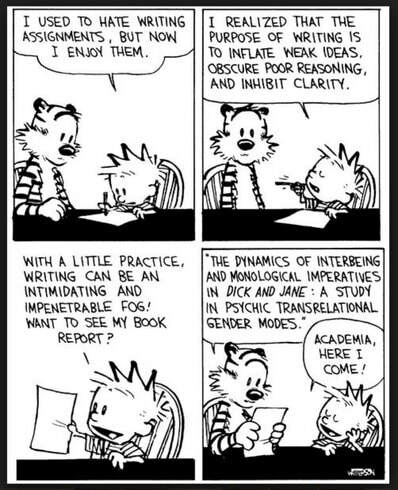 ﻿In the first semester, our writing focus will be on clarity, focus, and precision. This means that you will be focusing on crafting a focused and tight thesis statement, on writing using paragraph and sentence structure that promote concise and focused arguments, and on choosing words and arguments that are clear and tightly knit. In our first essay of the year, you will be completing a timed in-class writing drawing on the materials we have covered in the first few weeks of class. This essay will give us a baseline of your writing skills, and will serve as a foundational piece to build your writing goals. In this essay, you will be required to draw from class texts and other sources to build a succinct and concise argument. Prompt(s): Based on what we have read and seen in class this week, what is your vision of a sustainable classroom? In this essay, you will be writing your own personal narrative modeled after the first person narratives we have read. In this narrative, you will craft an essay that blends personal storytelling with analysis and the class concepts you have learned so far. This essay will focus on intertextuality--relating the ideas of your own core values and experiences to other texts and frameworks. Prompt(s): What are your core values, and how do they shape your vision of sustainability and your behaviors? For your final honors essay of the fall semester, you will write an essay that succinctly describes the major themes and conclusions that you found in the research for your chosen topic about sustainable. Please note that this is NOT an argumentative paper--you are not taking a stand, you are simply summarizing the research that has been done (trust me, this is harder than it sounds). Prompt(s): ​What does existing research have to say about my question/topic?